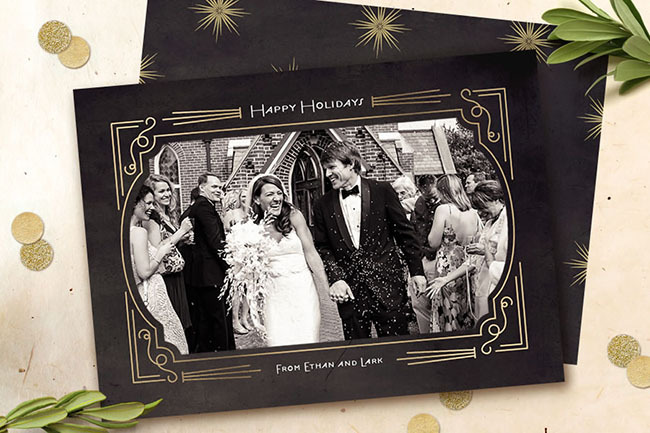 And for those of you who tied the knot this year, this is the perfect time to use one of your amazing wedding or engagement photos with their newlywed holiday cards. 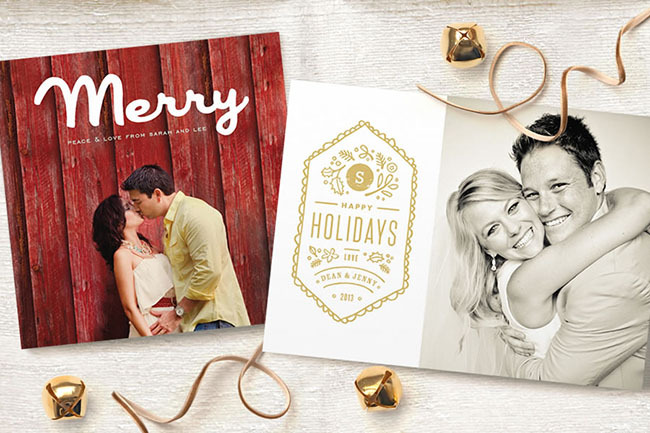 Minted has got you covered with a ton of stylish + fun designs that will work awesome with your photos. 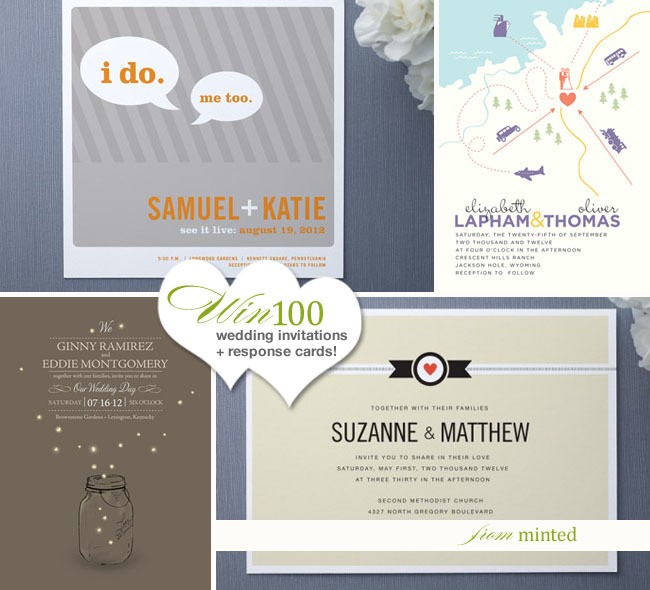 And I love that they give couples the option to print their cards on 100% recycled paper! 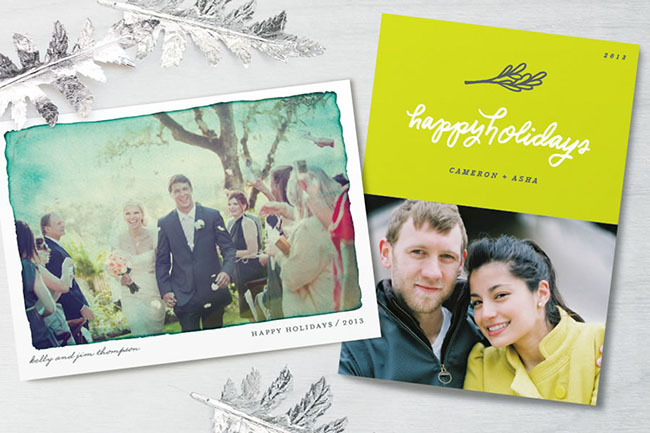 If you don’t have any photos you love for a holiday card, they also have lots of great non-photo card options! Isn’t the car with the tree on top just the cutest!? 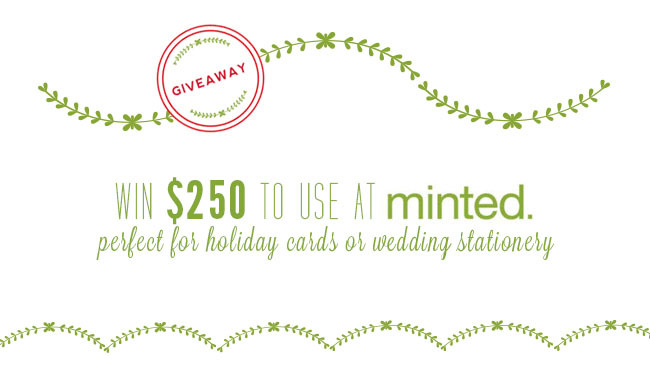 Minted is generously giving away $250 toward holiday cards (or wedding stationery!) to one very lucky reader! 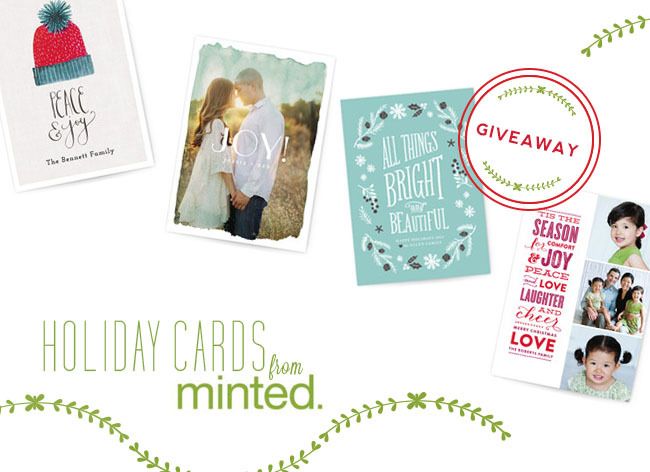 To enter, visit Minted by Monday November 3, 2013 + fill out the form for your chance to win. 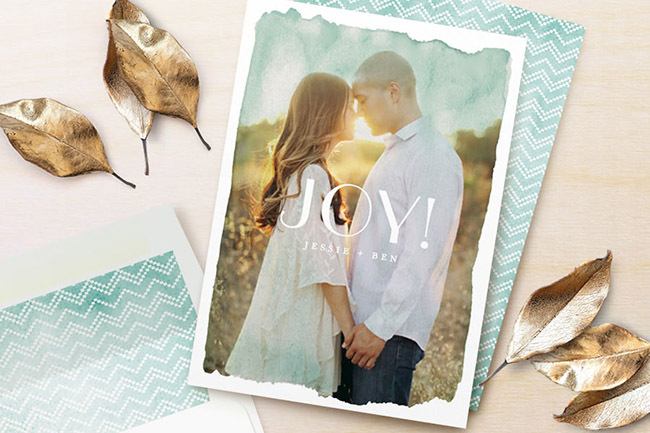 Good luck + big thanks to Minted for offering this great opportunity! 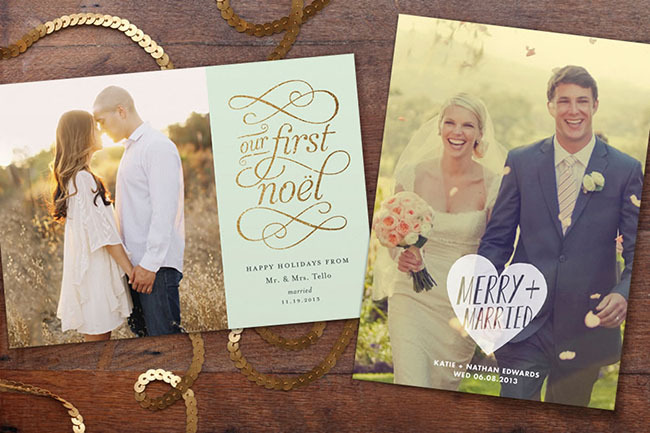 If you’d rather just get started on your holiday cards, head over to Minted to browse all the amazing design options! 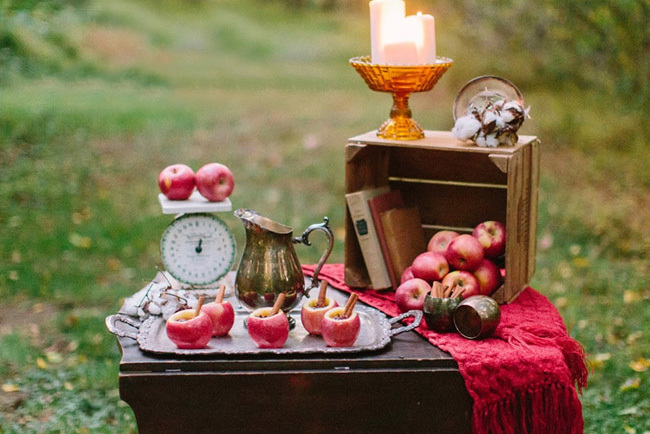 This is absolutely my favorite wedding blog of all time! Can’t wait to use some of the ideas we have gotten of Green Wedding Shoes for our wedding next November! I love the cute simple style of these cards – thanks for the giveaway!! Thanks for the giveaway! 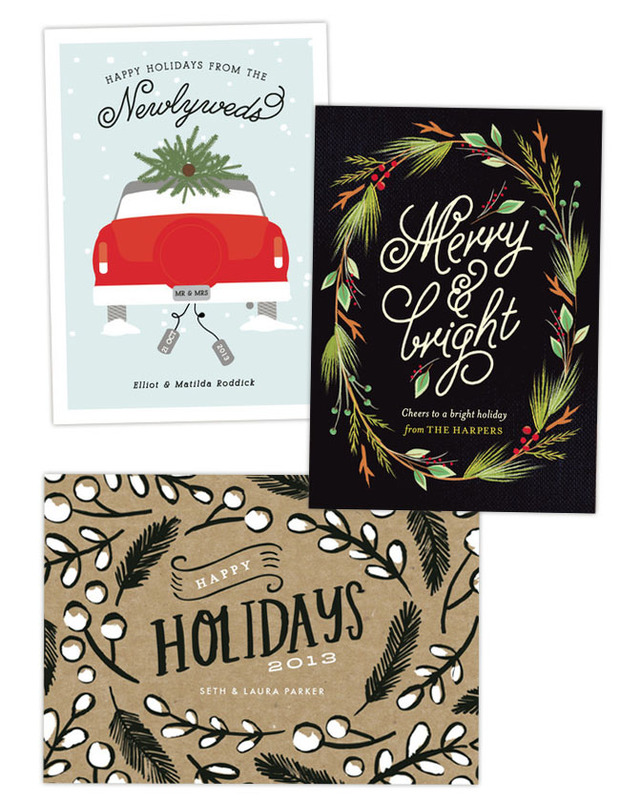 Would love to use Minted for holiday cards this season. 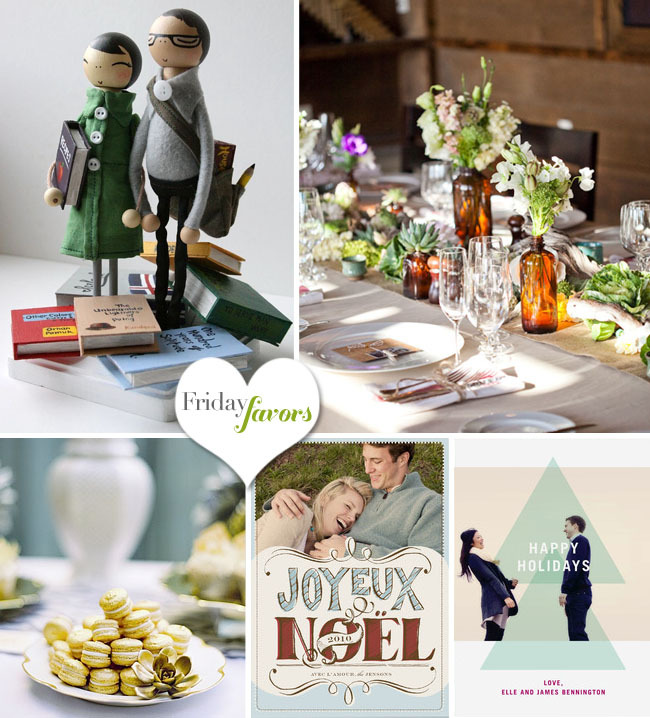 I <3 the, Pine Cones Wedding Invitations! Thank you for the contest. Every card on your website is a masterpiece!